Close your eyes and imagine, close them tight and pretend as you take off on a magical trip to Never Land, where you never grow old. 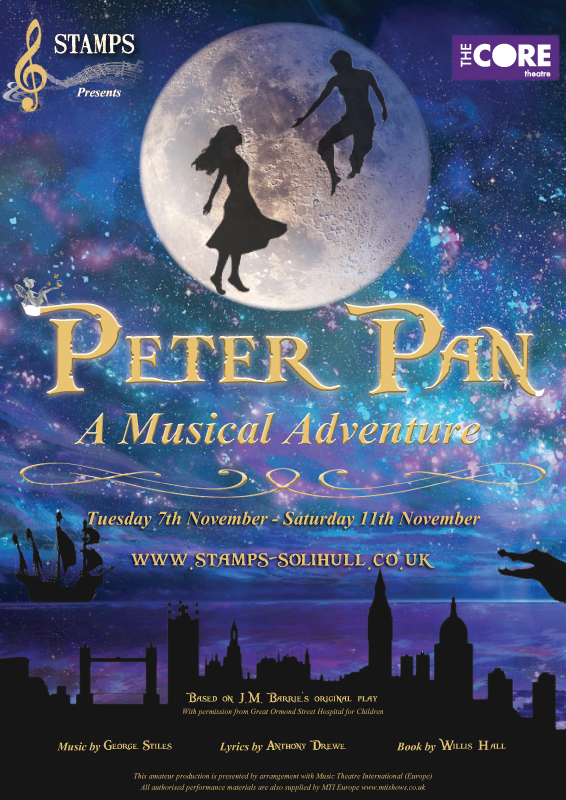 JM Barrie's timeless tale of the boy who refused to grow up is reborn as a spectacular musical with a score by Stile & Drewe and a book by the late Willis Hall, as Peter Pan and Tinkerbell whisk the Darling family's children beyond the stars to his island where there are "no tedious distances between one adventure and the next". Immerse yourself in the wonders of Neverland, where all of your favourite characters are waiting, including Captain Hook and his pirate crew, Princess Tiger Lily and her tribe, the Lost Boys, and of course, Nana the dog and the Tick-Tock the Crocodile!